Silestone, who supply one of our ranges of quartz worktops, has introduced a new collection of quartz sinks to match their worktops. The Integrity range comes in 5 different options and sizes, starting with the Due(s) up to the XL, so there’s a size for every kitchen. 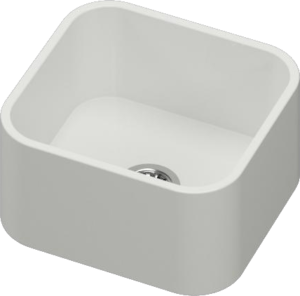 All of the sinks are characterised by their fluid design, as they are made from one piece so have no joints. They offer perfect integration into your Silestone worktop for outstanding visual harmony. They offer the same high scratch and stain resistance as the worktops, so your sink will retain its beauty for many years. 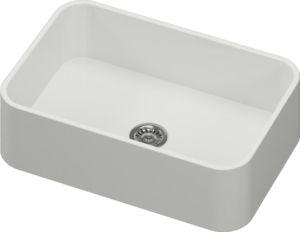 The smallest sink in the range, the Due (small) is 37 x 34 x 15.5″, while the Due (large) is 37 x 51 x 15.5″. These two combined make the perfect double sink, and their sleek, uncomplicated lines will give your kitchen style and beauty. The Integrity One is more rounded, with fluid lines, and measures 41 x 51 x 15.5″ Perfect for those who love individuality. 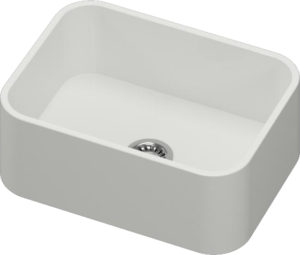 The largest sink is the Integrity XL, an impressive 43.5 x 67 x 21″. 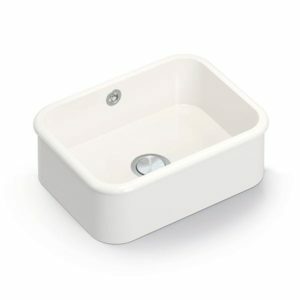 Ideal for those who love Belfast sinks but are after something more modern. 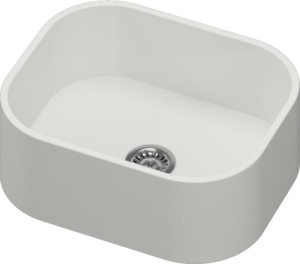 The final sink in the range is the Top, an above counter sink that is easy to install and provides elegance and perfection to your kitchen.